Congratulations are in order!! The Duke and Duchess of Cambridge welcomed a daughter into the world on May 2, 2015 at 8:34 am in the Lindo Wing of St. Mary's Hospital in London. The delivery was quick and easy for Catherine! They left the hospital roughly 10 hours after Princess Charlotte was born and took her home. 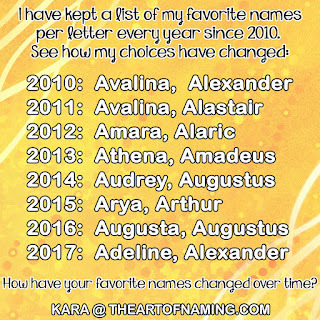 We were left waiting for an additional day to find out what name they chose. Speculation was everywhere! There were even bets being placed on the name. So many people were betting on Alice at first and suddenly the opinion changed to Charlotte which might indicate that someone somewhere knew beforehand. Either way, there was probably plenty of money lost and won. "The Duke and Duchess of Cambridge are delighted to announce that they have named their daughter Charlotte Elizabeth Diana. 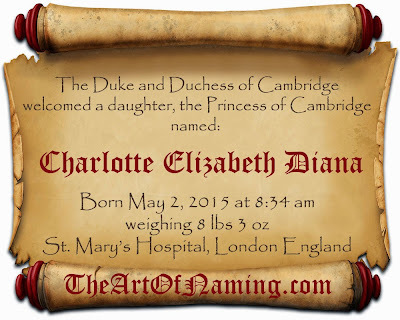 The baby will be known as Her Royal Highness Princess Charlotte of Cambridge." 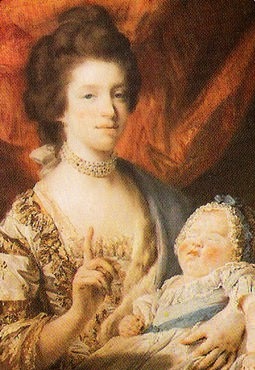 Queen Charlotte was the wife of King George III. She was a botanist who founded the Kew Gardens. Their first daughter was also named Charlotte. She later married Frederick of Württemberg and was known as the Queen of Württemberg. King George IV also used the name for his only child, the Princess Charlotte of Wales who had been an heir to the throne but died in childbirth in 1817 at the age of 21 which greatly distressed the nation. Duchess Catherine also has the name on her side of the family. She had a great-great-great grandmother named Charlotte Ablett who was born in 1825. 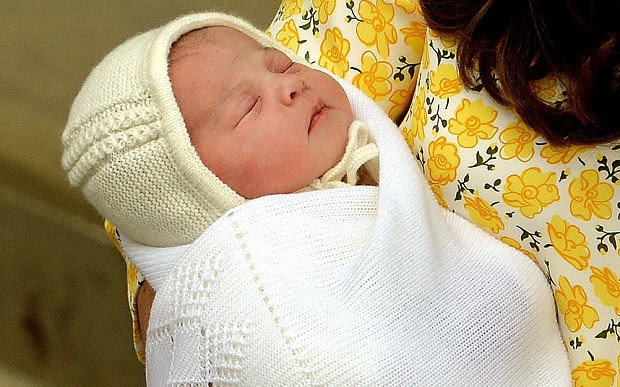 Charlotte is also the middle name of Catherine's sister, Pippa Middleton. 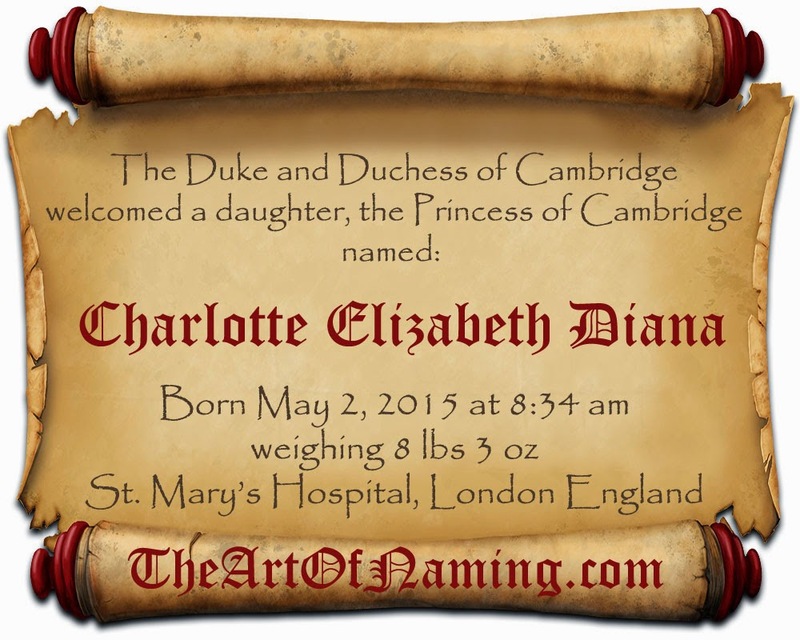 Reaching further, the name Charlotte is related to the name Charles which of course honors William's father, the Prince of Wales. It is also related to Catherine's mother's name, Carole. In the US, Charlotte is rather popular. It ranked #11 in 2013. It only ranked at #21 in England/Wales but it is now expected to have a boost of popularity because of the new princess. Elizabeth, of course, is the name of our current Queen. It was also the name of her mother who became the Queen Mother. There was also Elizabeth I who reigned way back in 1558. Elizabeth is Catherine's middle name too! This is one of the most classic names ever for girls. It was nearly everyone's guess for one of the middle names. In the US, Elizabeth has never ranked outside of the Top 30 names. It was #10 in 2013! In England/Wales, Elizabeth ranked at #39 in 2013. This name was the one that everyone wanted the Duke and Duchess to use, but nobody was sure if they actually would or not. As you know, Diana was the name of Prince William's later mother Princess Diana who died tragically in 1997. She was loved all around the world. This name is the one that holds the most sentiment out of the three. It is a beautiful choice that honors someone very important to William and the country. As a name in the US, Diana ranked at #270. What do you think of the names that they chose for the new Princess? Did you guess correctly? Were you hoping for something different? Share your thoughts below! You can also flashback to 2013 and learn more about Charlotte's big brother's name: Prince George Alexander Louis of Cambridge. Two Whole Years at The Art Of Naming!